So far on advancedontrade.com, I have explained the differences between EXW and FCA as per Incoterms 2010 rules and the differences between FOB and FCA as per Incoterms 2010 . Today I want to mention the differences between CIF Incoterms and FOB Incoterms according to latest ICC rules of international commercial terms. Definition of FOB according to Incoterms 2010: “Free on Board” means that the seller delivers the goods on board the vessel nominated by the buyer at the named port of shipment or procures the goods already so delivered. Definition of CIF according to Incoterms 2010: “Cost, Insurance and Freight” means that the seller delivers the goods on board the vessel or procures the goods already so delivered. Once you read above definitions, which are taken from Incoterms 2010, you should be amazed like myself, as both definitions are the same. No I did not make any mistake. 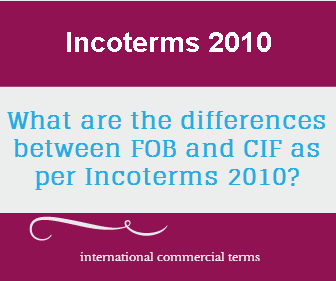 These are the real definitions of FOB and CIF from Incoterms 2010. But why are these two incoterms have the same definitions in Incoterms 2010 rules. Both FOB and CIF have the same definitions in ıncoterms 2010, because exporter delivers goods to the importer at the same place in both incoterms. The exporter delivers goods to the importer as soon as goods are on board a named vessel at the port of loading. Although both incoterms have the same delivery point and the same definition under Incoterms 2010 rules, FOB and CIF incoterms have some fundamental differences. Under FOB Incoterms 2010 importer books the container with his own forwarder or carrier. Under CIF Incoterms 2010 exporter books the container with his own forwarder or carrier. 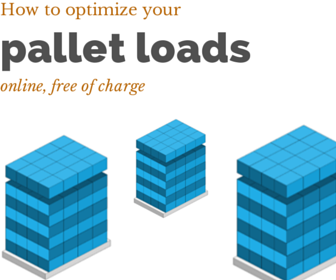 Under FOB Incoterms 2010 importer has to pay for the freight cost, which is necessary to bring the goods from port of loading to the port of discharge. Under CIF Incoterms 2010 exporter has to pay for the freight cost, which is necessary to bring the goods from port of loading to the port of discharge. Under FOB Incoterms 2010 either exporter or importer has no responsibility in regards to contracts for insurance cover against the risk of loss of or damage to the goods during the carriage. Under CIF Incoterms 2010 exporter contracts for insurance cover against the buyer’s risk of loss of or damage to the goods during the carriage.